Tampa is one of three largest cities in the Tampa Bay area of the United Staes. The major sectors of the economy of this city are information technology, finance, retail, healthcare, insurance, and shipping by sea and air. Register for the CSD certification in Tampa and get ahead in the learning curve. 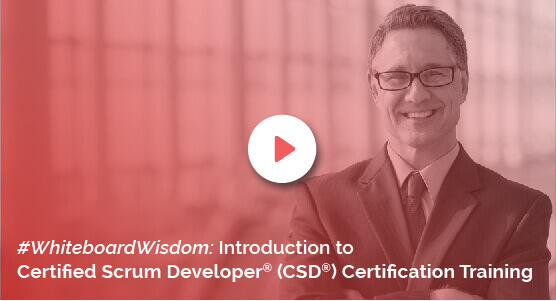 The five-day CSD certification in Tampa is meant for product and project managers, QA testers, developers, and other software professionals who hold CSM credentials. The Certified Scrum Developer training in Tampa will introduce you to the essence and basics of Agile and Scrum, the significance of Sprint, Scrum roles, and ceremonies and the different forms of artifacts. Learn from certified tutors the meaning of Acceptance Test Driven Development and Behaviour Driven Development. Enrol in CSD certification in Tampa and appreciate the difference between ATDD, BDD, and TDD. The CSD training in Tampa will also teach you concepts about gherkins, solid designs, design patterns and much more. There are other topics also that will be covered in this five-day academy. The CSD course in Tampa will be split into two parts. The first part will run for two days and will teach you the basic concepts of the Scrum framework, and its ceremonies. Holders of the CSM credentials can skip this module and lean the more advanced concepts in a three-day workshop. When you successfully clear this workshop, you are given a two-year membership of the Scrum Alliance network. You do not have to pay any separate exam fee as it is included in the overall cost of the Certified Scrum Developer certification in Tampa. Opt for KnowledgeHut right away and get access to its universally certified staff.